I really enjoyed presenting the findings of my online survey about “Contractors and SAP Certifications” here at SAP Inside Track London this morning. The unconference is still in full swing, but I wanted to share the presentation and survey results spreadsheet with you right now. The original slides were created with Apple’s Keynote so I hope the converted file displays ok in Powerpoint. Any problems please give me a shout. Dennis Howlett has also recorded the presentation, so more video goodness later. Update: Here is also a link to the zipped Keynote presentation file. “SAP Certifications for Contractors” survey. Please note that (obviously!) the survey should only be taken by SAP contractors or freelancers, as this is my focus group. The survey entails 17 questions and should not take you longer than 15 minutes max. Please forward the link to this survey to all contractors and freelancers working in the SAP arena. Overall goal of this is to support the aim of facilitating better implementations of SAP and increase Return On Investment (ROI). SAP is listening to the community and it’s our part to come up with ideas and constructive comments. Hopefully the survey results will contribute another piece to the “certification jigsaw” and improve the system even more. Ever since the big response on Dennis Howlett’s “Should You Be Certified?” SDN blog post I felt that the implications of SAP’s certification push had not been identified well enough for contract and freelance consultants. The main reason for this is probably because there is not enough data to establish what this particular group thinks about the old or the new 3-tier SAP accreditation. Why focus on SAP contractors? they might use certifications to break into new SAP areas / modules, very often without any work lined up after the exam, as clients want people with experience who can hit the ground running. In contrast to this, SAP consultancy firms and partners tend to educate their consultants in anticipation of upcoming demand. 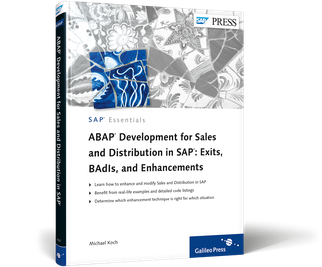 In the current climate, they might decide to send a dozen of their staff to SAP certification exams as they expect demand for products such as Business Suite 7 to pick up within the next 12 months, for example. Moreover, these partners can also offer sandbox systems or access to early adopting clients so their newly certified consultants can learn by doing. End users certify their staff yet again for different reasons. In my experience the leading motive in multinational corporations is usually to establish centres of excellence with certified subject matter experts. One last thing that I feel is important to mention: overall goal of all this really is to support the aim of facilitating better implementations of SAP and increase ROI. My intention is not to talk SAP certifications down. Far from it. The survey will be up later today. Some people will be emailed separately with a link to the survey, but the link will obviously also be posted on here. Please forward it on to as many SAP contractors and freelancers you know. SAP is listening to the community and it’s our part to come up with ideas and constructive comments. Hopefully the survey results will contribute another piece to the “certification jigsaw” and improve the system even more. value of current SAP certifications? I am a UK based freelance SAP Development Consultant with 12+ years experience. In the past I have participated in many of the SDN discussions and Twitter conversations that you have mentioned in your blog. Let me first of all start off by emphasizing that SAP customers’ needs for better, more efficient, more reliable and faster implementations are completely understandable. Whether in the past that’s always been entirely skills related is debatable (but that’s also slightly beside the point). With regards to your blog I was surprised to see that no feedback of today’s SAP Mentor webinar was included. This group, as Dennis Howlett recently pointed out on “Enterprise Geeks” podcast, is an important factor as far as a buy-in into new certification ideas is concerned. Almost none of the SAP Mentors are actually SAP certified, yet are able to do outstanding day-to-day work in SAP-land. The SAP resource gaps that you have mentioned in your blog are very often filled by experienced SAP experts such as me who work on a contract basis. This is not something that will go away in the short term. My impression (based on working experience in UK and Germany) is that for experienced freelance consultants certification currently is not a guarantee to land that next contract. And I can’t see this changing in the short to medium-term. Why? Actually, as far as my first 2 points are concerned, partners and SI’s are in a similar situation, because even if their consultants are certified in a particular new area or topic, they still need that first hands-on, exciting project to implement it. In my experience, I have seen a lot of customers who have suffered from being “bleeding edge”, being the first to use new technology in their area. With regards to the value and depth of SAP certification in its current offering, you said: “Come join us this year in Phoenix, Vienna, Bangalore, or Shanghai … get your hands on the technology via workshops, hear from experts, and sit for the exam soon afterwards.”. If this means that a few workshops and seminars at TechEd are enough to sit (and pass) an exam that makes someone within up to 3 months a certified consultant than I feel more than confirmed in my doubts. I also feel there is a “get them while they’re hot” attitude which doesn’t help to raise the profile of certifications. b) can’t offer cross-client code changes. You can only improve the quality of your work if you have access to hard- and software at any point in time, not just in a SAP training center. In my mind, this would be a much easier solution, which could potentially feed into a different kind of certification approach for the future, with help and ideas from mentors & community. After the re-branding of “Atlantic” into “Alloy” we have now been given a launch date (March 2009). So what can Alloy bring to IT departments, developers and -most importantly- to Notes/SAP users? First of all it’s going to create some work for IT departments on the Notes side, as a minimum of Notes 8.02 server side is required (info as of TechEd 08). Especially SAP/Notes experienced IT departments with a large homegrown Notes app suite won’t be too happy about this, as there is a lot of testing effort for mission critical Notes applications. Which is a more apt description, compared to claims that Alloy is an enterprise mashup. Another benefit is that Alloy users tend to find their information in one space (Notes) rather than having to swap between Email, SAP Client and web browser all the time. However, my own experience with Notes is that integration of non-Lotus software is not always as good as it could be. Everyone who has tried to view MS Office documents in (older versions of) Notes might know what I am talking about. In terms of developer skillsets, some companies might also find challenges here, as very often Notes and SAP development is done in separate teams. On the whole, I do believe that a lot of SAP/Notes shops will find a fair amount of milage in Alloy, especially the ease of converting SAP Workflows. Therefore it can enable users to collaborate even better when using Alloy. However, migrating existing Notes workflows will be harder and thus less beneficial to migrate. Whether a pre-installed selection of leave and other approval apps is enough to entice customers to ditch their homegrown applications in favour of Alloy remains to be seen. And if customers are partial to Microsoft products then there’s also the Duet offering. SAP’s worker’s council wants job guarantee (Achtung, German! – english translation here, albeit Leo Apotheker translated as “pharmacist”). via, @rwang0. Isn’t the worker’s council trying to square the circle here? “Never.” SAP US boss Bill McDermott interview predicts a SaaS disillusionment. A fairly misjudged and badly interpreted interview, or, as @jonerp put it: “SaaS true believers portraying SAP as legacydinosaur“. SAP and SaaS: SeekingAlpha’s Jeffrey Kaplan sees SAP in denial. I thought this article lacks real insight into what products such as BBD deliver. Also, what’s wrong with being cautious about ERP in the cloud? For instance, the idea of SAP SaaS snap-on’s to work toegther with SAP ERP is a good one, as it could ease customers into SaaS. this week also saw the go-live of the Enterprise Geeks website with interesting contributions from Craig Cmehil, Dan McWeeney, Ed Hermann, Rich Heilman and Thomas Jung. I’ve certainly subscribed to their feed. This doesn’t come as a big surprise, as SAP customers had to continue facing the music: a survey by Panaya Inc showed that 75% of all SAP upgrade projects are still going ahead as planned, some with lower budgets. Main driver appears to be support cost avoidance. SAP confirms it has won UN implementation project. Might just be a drop in the ocean financially, but bums on seats is always good PR.